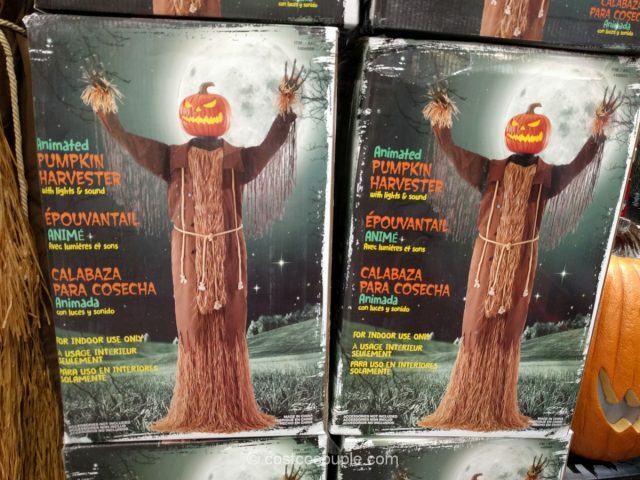 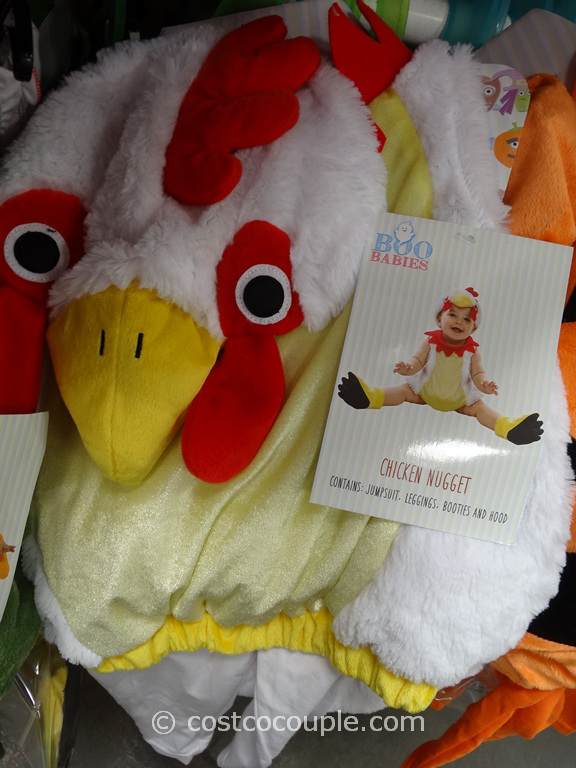 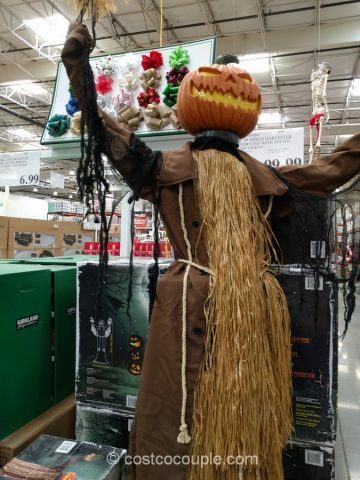 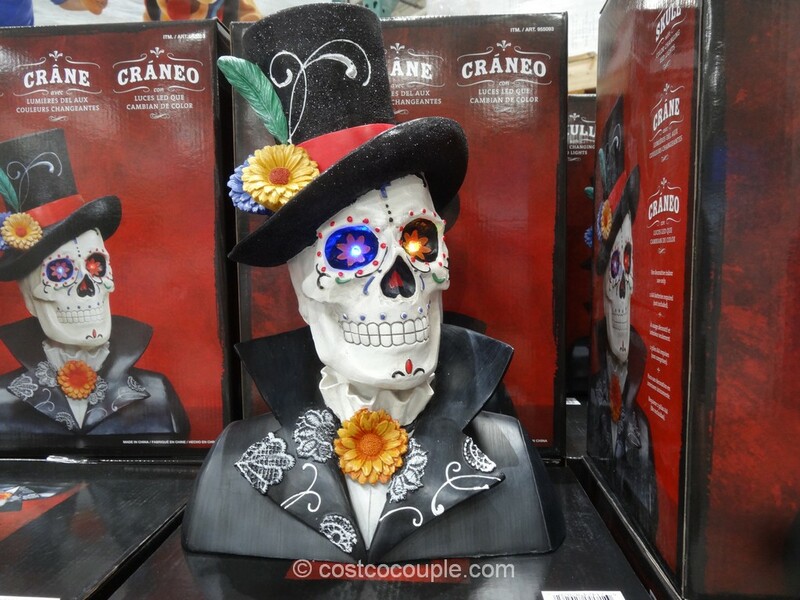 Halloween costumes and decor have arrived at Costco! 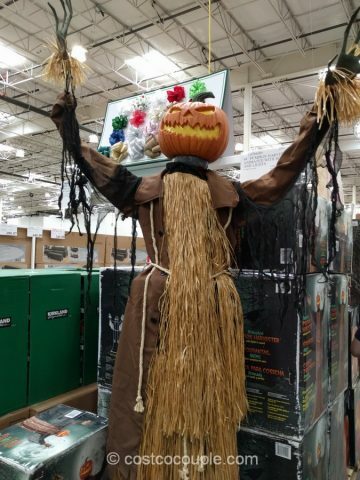 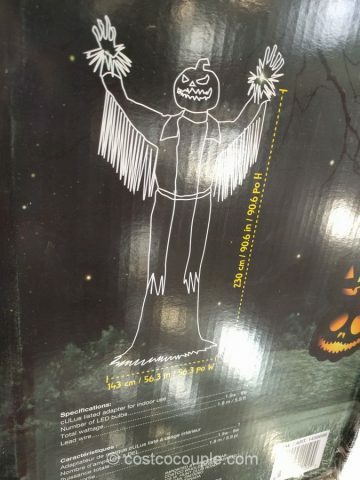 Here’s the large Animated Pumpkin Harvester spotted at the store this week. 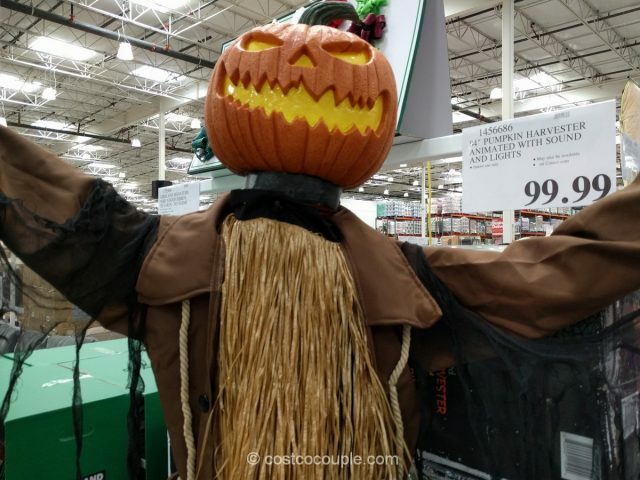 This 90″ pumpkin is equipped with an infrared motion sensor activator with a range of up to 6.4′ or 2 meters. 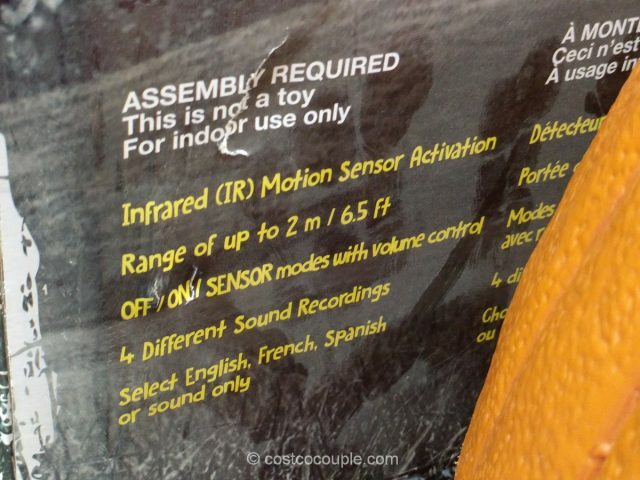 You can turn the sensor on or off and there’s volume control with 4 different sound recordings e.g. 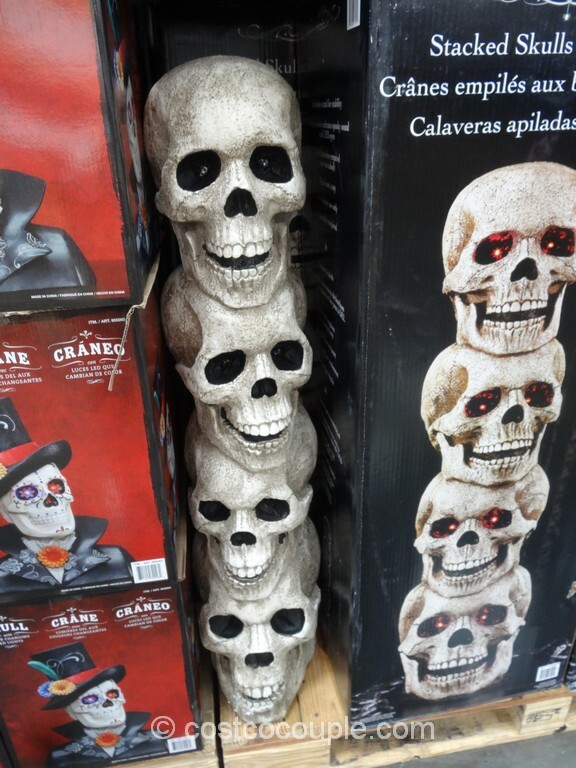 English, French, Spanish or sound only. 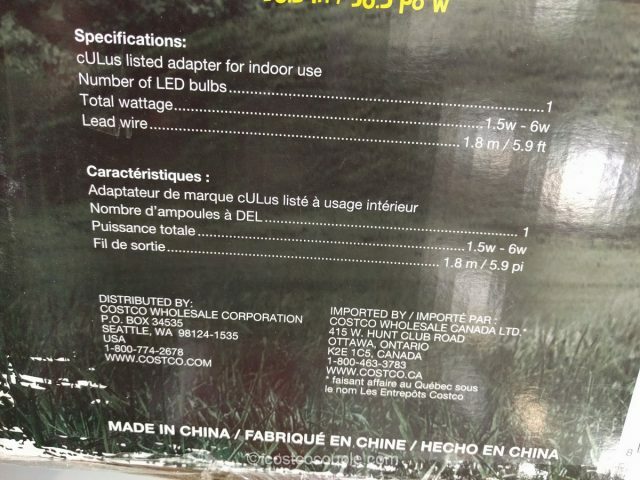 It’s for indoor use only. 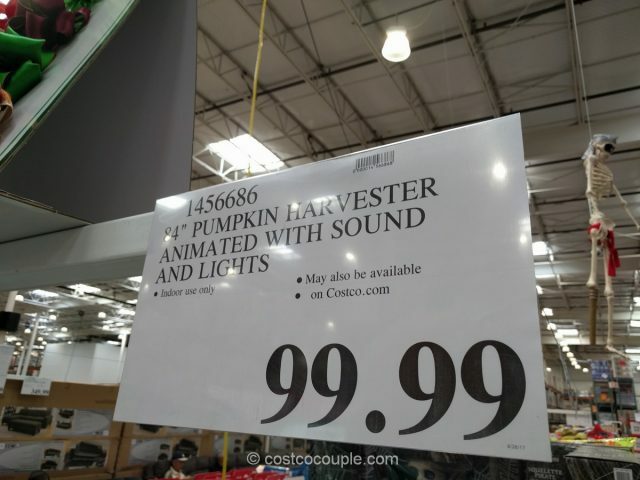 The Animated Pumpkin Harvester is priced at $99.99.